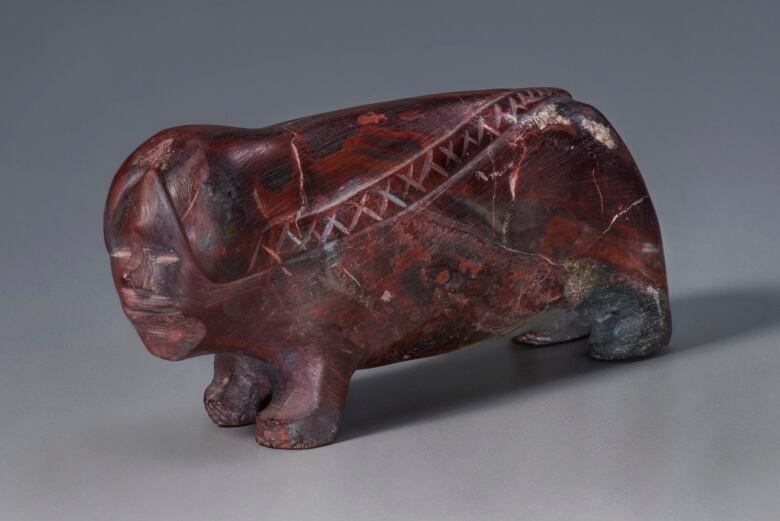 The Canadian Museum of History in Gatineau, Que., has been enriched by a donation of more than 900 works of Inuit sculpture, prints, drawings and other material. The collection arrives from the estate of the late Margaret (Marmie) Perkins Hess, a prominent Calgary gallery owner, art historian, professor and business person. She had assembled the collection over decades of travel and research in Canada’s North. “Marmie, as she was known to friends, was really a force of nature,” said Dean Oliver, senior director of research and chief curator at the museum. “She was deeply immersed in western Alberta [and] Calgary culture, but also northern and western Indigenous culture for her entire adult life. [She] amassed an absolutely gob-smacking array of items … and kept absolutely meticulous collector records of all of these things,” said Oliver. She recorded the dates, times, places, cost, location of the purchase, and more. Those communities include Cape Dorset, Baker Lake, Inukjuak, Que., Naujaat, Taloyoak and Kugluktuk. 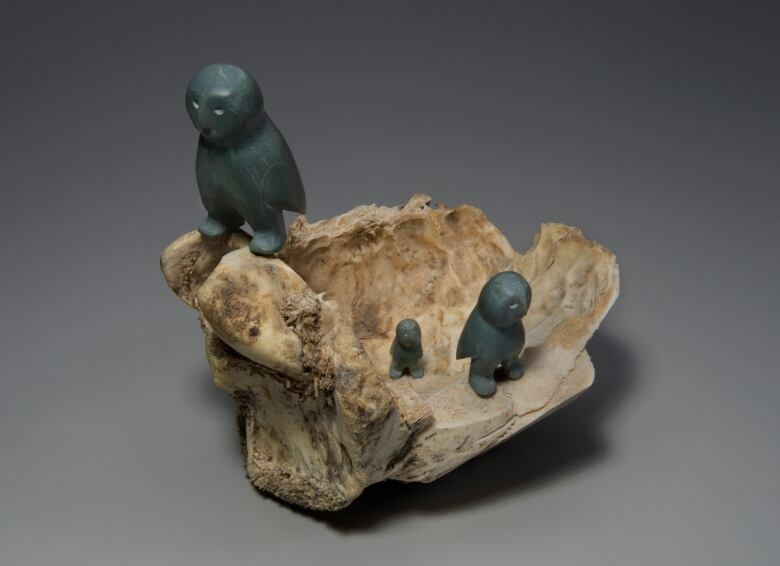 The collection represents Inuit artists from the 1950s through to the 1980s. Hess’s donation brings the Inuit art collection at the national museum to about 13,000 items, Oliver said. In addition to the inherent beauty of the items in Hess’s collection, Oliver said there is another unique element to the collection. Among the next steps for the collection is for the extensive paper records to be reviewed, confirmed and digitized, a process Oliver said could take at least two years. In the meantime, plans for travelling exhibits are in the works, but Oliver said it’s too soon to say when elements of the new collection might make their way North. In some cases, the collection extends the museum’s holdings for some of the smaller communities. For example, 140 items in the collection come from Taloyoak, which will be added to the 57 items from the community the museum already holds. Oliver said the new collection will provide insight into artwork in smaller communities. 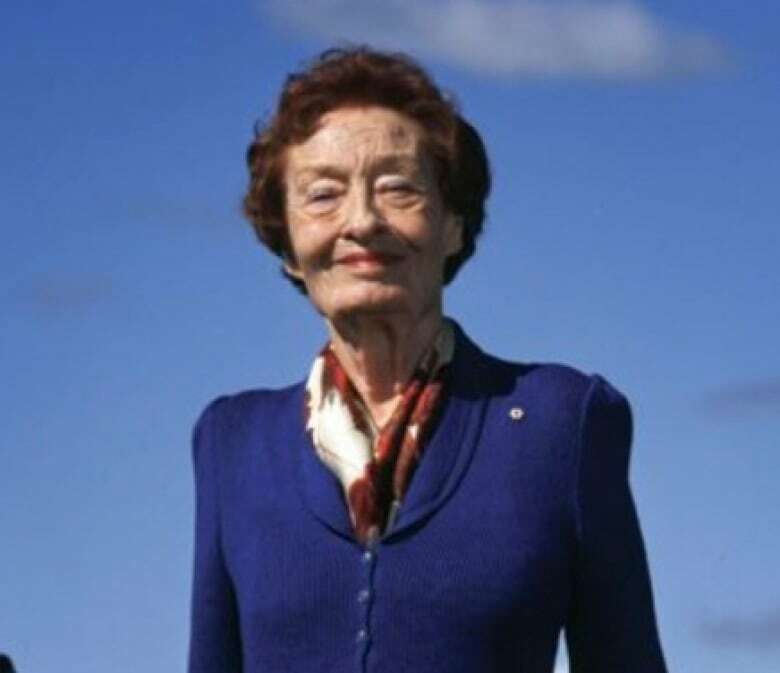 Hess was born in Calgary in 1916, but studied in Toronto during the 1930s where she struck up a friendship with members of the Group of Seven. Inspired by sprawling images of Canada’s natural beauty, Hess came to northern Canada where she became familiar with Inuit artists, often buying work directly from them. In 1970 she opened Calgary Galleries Ltd. where she sold Indigenous art. She died on Sept. 2, 2016. Since then elements of her estate have been distributed according to her will. In 2018 the University of Lethbridge received a collection of art valued at more than $4 million from Hess’s estate. It was the largest donation the university had ever received at the time. Minority government uncharted territory for P.E.I.